The Unknown Blues Band are blowing the roof off the room in downtown Burlington. Paul Asbell is laying down delectably smooth licks on his guitar, the kind of effortless runs that defy the presumed physical limits of human fingers. Dave Grippo launches into a solo that sounds like he's screaming into his saxophone as much as blowing into it. Chas Eller is on fire, too, though his is a controlled burn: The keyboardist carefully kindles his keystrokes before flaring up with incendiary outbursts. It's a typically commanding performance by the star-studded septet. And the gig has brought out a cavalcade of local scenesters. There's blues harp ace Bob Stannard, an image of cool as he leans on the bar in a black leather jacket and black cap, a neatly tucked white scarf framing his sharp face. Guitarist Dennis Willmott is beaming and glad-handing his way through the crowd. Charlie Frazier, a gentle bear of a man and a ferocious beast on harmonica, looks on. Dancers pack the floor, swaying and sweating to the band's searing jump blues. Over by the window, an impassioned pair shamelessly gropes. In another corner, a guy happily stuffs his face with steaming gravy fries. And somewhere at the edge of it all stands Nectar Rorris. Out of habit, he may nervously be hoping the band doesn't take a break. If you're old enough, or a few drinks in, this might seem like any other bluesy, woozy night at Nectar's. But the graying hair — or absence of hair — on many of these bobbing heads betrays the illusion. The median age of the crowd — and the band — is closer to 55 than 25. That couple getting their freak on by the window could be grandparents. More patrons are drinking Switchback than Bud. And Rorris hasn't owned the place for more than a decade. Tonight, he's the guest of honor for a celebration of the nightclub's 40th anniversary. When he's introduced onstage, he receives raucous applause. It's been 10 years since UBB performed together, too; their gig tonight is one of several special events the club's current owners have curated this year with help from Phish archivist Kevin Shapiro. There's a definite throwback vibe in the air. But you don't need a time machine to know that a hot local band working a crowd hungry for music — and gravy fries — is a scene that has played out many, many times since Rorris opened the club in 1975. The theme is the same whether you're downstairs at Nectar's proper or upstairs, the site of tonight's festivities — in the second-floor space that has been known as Upstairs Nectar's, Border and, currently, Club Metronome. Reconstituted for a night, UBB are turning back the clock to their heyday. In the 1970s and '80s, the players onstage might have been Pine Island or the N-Zones, or UBB themselves with the late, great Big Joe Burrell. Then Pinhead and the Decentz came along, followed by bands such as Hollywood Indians and Screaming Broccoli — and a certain cheeky phoursome. But more on Phish later. The 1990s brought the Pants, Chin Ho!, Belizbeha and Strangefolk to town; the 2000s, the Jazz Guys, the Cush and Grace Potter & the Nocturnals. More recently, groups such as Waylon Speed, Twiddle, Madaila and Kat Wright & the Indomitable Soul Band have graced Nectar's stages. Regardless of the bands or the era, Nectar's still offers "fresh music served daily," as the club's motto says. It has also served as a centerpiece of the Burlington music scene for 40 years. The tunes have changed — as has the venue itself. But the "song" remains the same. Nectar Rorris and his partners opened Nectar's on August 29, 1975. Before that, the Main Street space was a two-story restaurant and lounge called the Hi-Hat, which offered live music from a decidedly different angle than its successor would. Behind the Hi-Hat's circular bar, small jazz combos played on an elevated stage — an unusual setup more common in urban jazz clubs. When he purchased the space, Rorris knew he wanted to liven up the joint. "We wanted to change the lifestyle," he says over coffee at August First in Burlington. "Have louder music, put in a draft system." Downstairs, Rorris relocated the stage from behind the bar to the far wall — roughly where the sound booth sits in the club's current configuration. After taking a few months to fine-tune the restaurant's food offerings, he started booking local bands to play every night of the week. "We wanted two things," explains Rorris, now in his late sixties. "Serve the people food: breakfast, lunch and dinner. And then live music at night, with never a cover." With that formula, Nectar's quickly became a cultural hub in Burlington. By day, Rorris slung food from a cafeteria-style line along the windows at the front of the building. By night, the place took on a rowdier mood, with bands playing from 9:30 to closing. Nectar's initially occupied both floors of the building; starting in the '80s, Rorris leased the upstairs to Tod Warner, who operated it as the New Wave dance club Border. In 1992, that space became Club Metronome under the stewardship of Anne Rothwell. Though independently owned, both clubs have shared a liquor license with Nectar's and hence supplied the settings for much of its lore. And that lore isn't lacking. "It was a meeting place," recalls musician Frazier of Nectar's early days. "It's where you'd go to make plans for the night or maybe just hang out there." 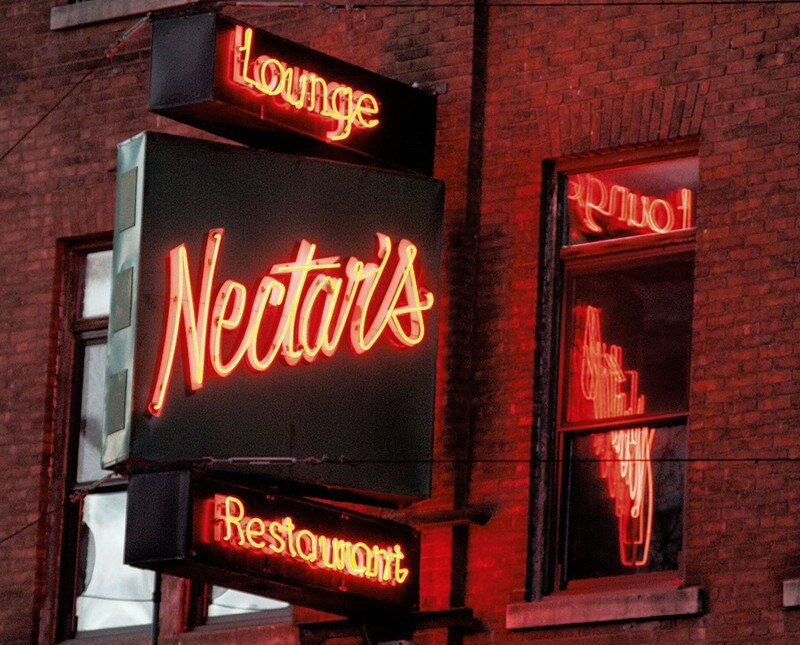 Nectar's was also an extension of Burlington's halls of democracy. "A lot of times you'd see local politicians having meetings, talking about whatever it is politicians talk about," he adds. Frazier is the award-winning host of the WIZN radio program "Blues for Breakfast" and leader of the long-running Grateful Dead tribute band of the same name. He moved to Burlington in 1974 and began playing at Nectar's the following year. That means Frazier has been gigging there, with a string of different bands, through the club's entire four-decade run. And he's seen some crazy things over the years. Like the time Vassar Clements and Emmylou Harris played a Memorial Auditorium concert and invited their entire audience to the club for an after-party. Frazier remembers Clements and Harris jamming with local string band Pine Island, while several hundred people crowded outside trying to catch a glimpse. Then there was the time the place caught on fire while Frazier's band was onstage. And the several occasions when members of Strangefolk or the Samples sat in with Blues for Breakfast; and the night a blind Canadian singer-guitarist named Jeff Healey sat in and blew the band away. Frazier also remembers one of his bandmates nearly coming to blows with a guitarist from Survivor, who had stopped by to sit in after playing the Champlain Valley Fair. The interloper belligerently refused to leave the stage — until he was informed that the man whose guitar he had borrowed was a third-degree black belt and really wanted his ax back. "I have a lot of good memories of that place," says Frazier, chuckling. Among them are his recollections of Rorris as a sweet but shrewd man. "He's beloved for very good reasons," Frazier says. "But he was demanding, for sure." Ask those who played Nectar's in the '70s, '80s or '90s, and they'll tell you that Rorris suffered no foolishness from his bands. Simply put, he treated musicians like employees. "I never considered them any better than the dishwasher or the doorman," Rorris confirms. "'Do your job. Start on time,'" he says sternly, his mild accent clipping his words. Then he pauses and grins wryly. "Of course, you could not tell that to Jon Fishman. He never had a wristwatch in his life, I don't think." Rorris could be forgiven for playing slight favorites when it came to Fishman and his band. 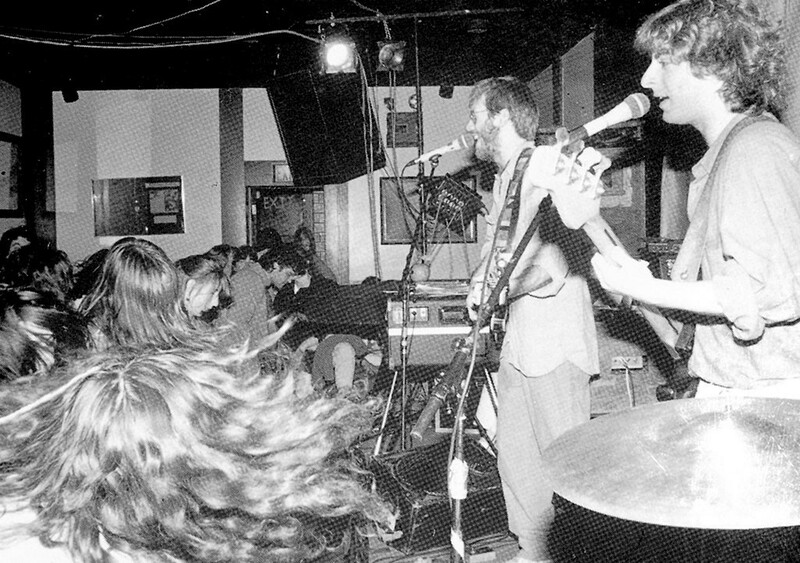 After Phish played their first gig at Upstairs Nectar's on December 1, 1984, the bar — and Burlington — was never the same. "I had a feeling they were going to be big," says Rorris of the then-scruffy college students. "But not that big." Few could have predicted that Phish would go on to be one of the biggest bands in rock history, least of all a Greek immigrant who readily admits to knowing little about music. "As long as they brought the people, I didn't care what they played," he says. Asked for recollections of the band, Rorris starts with this: "Jon loved to play pinball." He adds that he kept extra rolls of quarters in the cash register on the nights Phish played the club, just for Fishman. Before she opened Club Metronome, Rothwell was a server and bartender at Nectar's in the late 1970s and again in the mid-1980s. While she worked several Phish gigs over the years, her recollections have more to do with Phish fans than the band. "We called them the 'Water Drinkers,'" she says of early Phish Heads, who — contra the mythology that would eventually grow around them — appear to have favored hydration over inebriation. "As bartenders, it really kind of annoyed us," Rothwell recalls. Between '84 and '89, Phish played a total of 44 shows at Nectar's, many of them three-night runs on off nights — Sunday through Tuesday. As their popularity exploded, the band inevitably outgrew the club. Though Rorris would relax his strict rules regarding start times and the length of set breaks for Phish, there was one commandment even they couldn't violate: no cover charge. "It was a debate with Phish and other bands: 'We need more money,'" Rorris remembers them complaining. "So did I. But [I said] I'm not gonna charge a cover." From the vantage of nearly 30 years later, his next sentence sounds patently absurd, true as it may have been: "Students wouldn't have paid two bucks to see Phish at Nectar's on Sunday and Monday. They gotta eat. They're not gonna pay a cover." That minor rift led Phish to play more frequently down the street at a club called the Front — now Skirack. The disagreement highlights one inadvertent side effect of Rorris' no-cover policy: It established Nectar's as a proving ground for young local bands, a place to hone their chops before taking the next step professionally. And they proved themselves offstage, as well. Rothwell says that, to book gigs, most bands simply approached Rorris as he was slinging burgers and fries behind the line. Eight and a half years ago, we played our first bar gig at Nectar's in Burlington. Nectar Rorris, the proprietor, was happy to give us a gig despite our lack of experience, organization, or a song list long enough to last two sets. The night went well enough and soon we were playing a series of monthly three-night stands — three sets a night on Sunday, Monday and Tuesday. Like countless other bands in Burlington's diverse music scene, those nights at Nectar's taught us how to play. We dedicate this album to Nectar Rorris for 16 years of bringing Burlington live music every night of the week with no cover, and the best fries this side of ... France. In 2002, Rorris sold Nectar's to Damon Brink and Chris Walsh, old friends and business partners who had made a pact together on a Jamaican beach over a bottle of Caribbean rum to own a rock club. Not a week later, they discovered Nectar's was for sale. "It was an opportunity," says Rorris of his decision to get out of the bar biz. "At my age, I felt it needed new blood. Having a wife and a kid and a dog and all that, running a nightclub, it doesn't fit too well." 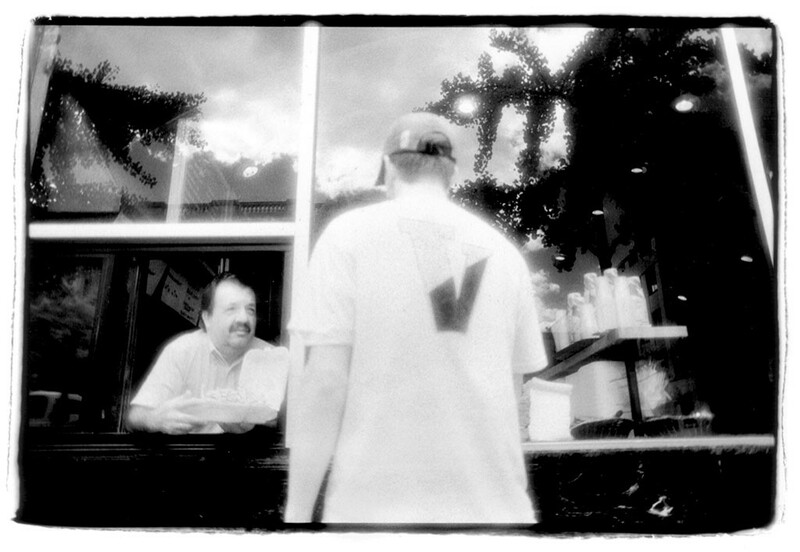 Initially, Walsh and Brink left things at Nectar's pretty much the same — by design. But they had big plans for the future. "The first assessment we had was that the place had an identity crisis," says Walsh. "Was it a diner that had music? Was it a venue that served food? What was it? Something had to be the driving force." It wasn't the gravy fries, tasty as they are. Walsh and Brink understood that Rorris was sitting on a national brand. "Our goal was to make it the CBGB of the jam world," says Walsh. "And I think we did it." If you're under the age of 30, you may not be aware of just how profoundly Nectar's has changed in the past decade. Gone is the circular bar that was the joint's physical signature dating back to the Hi-Hat. The present-day bar is a lengthy curve opposite the stage in the concert room, its shape an homage to that distinctive feature. The stage has moved from the far wall to the band, opening up the previously cramped dance floor and creating better sight lines. It has been raised and outfitted with the most professional light and sound of any downtown nightclub. The restaurant side is equally transformed. The original curved ceiling remains. (Rothwell fondly recalls that the acoustics of that curvature made it easy to eavesdrop on patrons in other booths.) But instead of pleather booths and cafeteria tables, the room now has pool tables, tall bar tables and a more urban-chic ambience. The cafeteria line by the front window — from which Rorris served millions of fries, both over the counter and through the window to outdoor patrons — is gone, too. The walls are now adorned with large photos of bands playing the club and pop art featuring the faces of music icons. HD TVs simulcast the music from the other room so diners can watch the show. Some relics of Nectar's past remain. The crystal chandelier, actually a holdover from the building's original incarnation as a savings and loan, still hangs in the entryway. The vintage multicolored lighting fixture set over the original bar hasn't moved, though it now illuminates the dance floor. The neon sign still turns over the sidewalk. And late-night gravy fries can still be slung through the window. Some things are just sacred. "You gotta have the gravy-fry window," says Rorris. He adds that he approves of most of the changes to the Burlington institution he created. "When we bought the Hi-Hat, we had a vision for what to do with it, and we did it," he says. "When they bought Nectar's, they had a vision. They were going to keep it the same for a while, then little by little make changes, I think for the better. It's not what it used to be. But I think that's smart. If it works, it works." There is another vestige of the old Nectar's, though it's a less tangible one. While the place is now more rock club than a mom-and-pop diner, and patrons pay a cover on weekends and for nationally touring acts, the heart and soul of Nectar's is still local music. It remains a proving ground for Vermont bands. Seth Yacovone has arguably logged more hours onstage at Nectar's than any other local musician. The onetime blues guitar prodigy started playing the club in 1995, when he was just 15. He still plays there regularly with his trio, the Seth Yacovone Band; and for the past 10 years, he has held down the Friday happy-hour slot as a solo act. Yacovone says playing at Nectar's was crucial to his professional and artistic development. "It was huge," he says. "You'd play from nine to two, so it was a longer show. But it gave you the opportunity to fall on your face a few times, get better and figure stuff out." It's safe to say he did. Earlier this year, Yacovone received the first-ever Nectar's Lifetime Achievement Award. He's not the only veteran local musician who cut his or her teeth at Nectar's. Nor was Phish the only act to use the club's stage as a launching pad to national fame. In 2004, a then-unknown band called Grace Potter & the Nocturnals embarked on a monthlong Tuesday-night residency at the club. As Potter recalls, the first night was a bit of a bust. "There were maybe 18 people there," she says. But word soon spread about the blues-rock band and the lead singer whose pipes might have been inherited from Janis Joplin. By the end of the residency, the club was packed. In the crowd one night was an A&R rep from Hollywood Records. GPN signed to the major label soon after — and, well, you know the rest. "It sounds like a fairy tale," Potter admits. "But that really was the effect that Nectar's had. And it still does. When somebody says, 'You've gotta go to Nectar's to check out this band,' that's what you do." Walsh bought out Brink in 2009* and now owns the club and its parent company, Nectar's Entertainment Group, with partners Jason Gelrud, Noel Donnellan and Alex Budney. As NEG, the group has experimented with expanding the Nectar's brand beyond Burlington. For several summers, it operated a satellite venue on Martha's Vineyard called Nectar's MV, booking bands that were too big for Nectar's in Burlington. Recently, NEG has handled booking for the Rusty Nail in Stowe. Eventually, Walsh says, the trio hopes to franchise, à la the House of Blues. Unlike HoB, which operates in major cities, the Nectar's crew would aim to open clubs in smaller markets similar to Burlington: college towns with thriving local music scenes. Walsh says those clubs would operate like the original Nectar's: as stepping-stones for local bands. "Artist-development departments are completely gone from major labels, so little venues are critical," he explains. "We're like the minor-league team, the farm system to launch bands to the next level." "It sounds weird to say, but we're happy when bands outgrow us," says Budney. An active local musician himself, most notably as the bassist in Yacovone's band, Budney started at Nectar's as a line cook and worked his way up to being the club's talent buyer — a position now held by Ryan Clausen. Walsh credits Budney's taste with shaping the musical aesthetic at Nectar's. The pair are not the only ones pleased to see bands take the next step. Much as Nectar's depends on smaller feeder venues such as Radio Bean and the Monkey House to nurture talent, larger clubs depend on venues such as Nectar's. "Anywhere you find a robust and vibrant music scene, you find a network of bars, clubs and venues at the foundation," says Alex Crothers, co-owner of Vermont's largest and highest-profile rock club, Higher Ground in South Burlington. "It's a symbiotic relationship, and it's particularly critical to have the smaller, low-cost spots where young bands can hone their skills and start to build a fan base. "Running a live-music venue is a tireless affair, evidenced by the fact that so few of them stick around for very long," Crothers continues. "So it's a testament that for 40 years Nectar's hasn't just survived but excelled, while staying dedicated to its roots of supporting local and regional developing acts seven days a week." Crothers notes that many bands of the past few decades would regard Nectar's as pivotal in their development. Madaila's Mark Daly certainly does. Following his dance-pop band's residency at Nectar's last year, the group is on track to outgrow the club, if it hasn't already. In October, Madaila played a sold-out Halloween show presented by NEG at Burlington's ECHO Leahy Center for Lake Champlain. 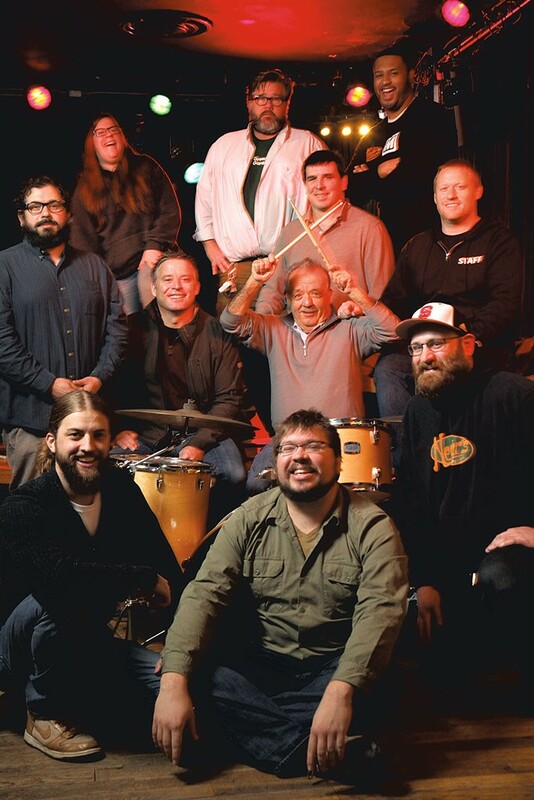 The regionally touring group is one of Vermont's most popular bands — a success that can be directly traced to its 2014 run at Nectar's. "It was really cool to build off the momentum and progression of a residency and try and get more and more people to show up each week," Daly says. "It's sort of a test to see how well you can do." And each year brings new bands. Burlington's Squimley and the Woolens are currently testing themselves with a two-month Tuesday-night residency at Nectar's. Though they're not yet on the same level as Madaila, the band has seen creative benefits. "The residency has given us the freedom to experiment and relax," says bandleader Braden Lalancette. "A lot of the pressure is off, because we want to play songs differently each week, revive old tunes and throw in new ones, mess around with different genres, and get out of our comfort zone." That's a sentiment shared by generations of Burlington bands, including Phish. Not all have enjoyed the same success — so far. But their collective efforts help make Burlington an unusually dynamic music town. While Nectar's has a justified reputation as a jam-band hub, the club fosters creativity in myriad forms and musical genres, from jam to reggae to rock to hip-hop to house music and beyond. "Nectar's is a platform," says Matt Hagen, a guitarist in the local surf band the High Breaks, among other musical pursuits. He's part of the brain trust behind Metal Mondays, a weekly heavy-metal residency that hosts local and national acts at Nectar's and Club Metronome. "They take chances on creativity and expression," he says of the Nectar's crew. "But it's on a production scale. We'll bring in bands that have only ever played in their garage and set them up on a real sound system with real lighting, and it's mind-blowing. And that's where Nectar's has always shined, opening up those moments for young bands who have never had that experience." That, says Rorris, is the true legacy of Nectar's. 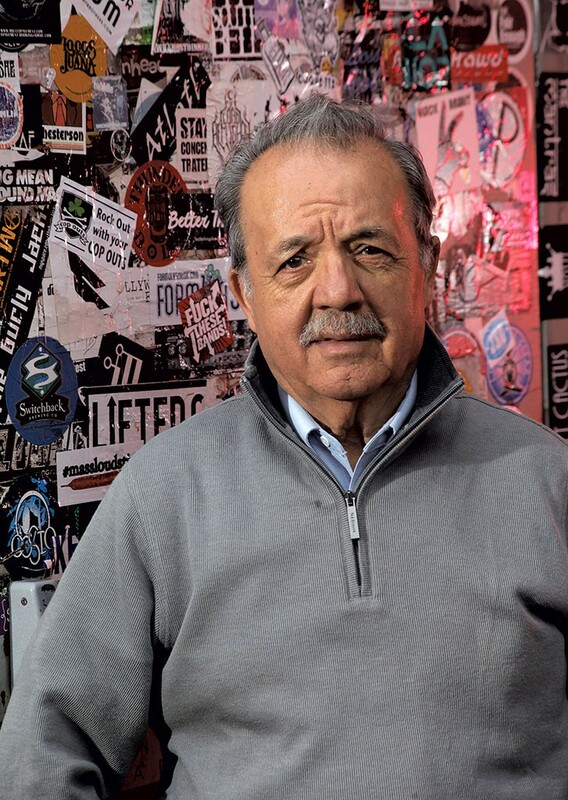 "To me what's remarkable is how much good music there has always been in Burlington," he says. "People make the legacy. I just owned a bar." Correction 12/1/15: An earlier version of this story misstated the year Chris Walsh bought out Damon Brink. That transaction happened in 2009. The original print version of this article was headlined "It's All Gravy"